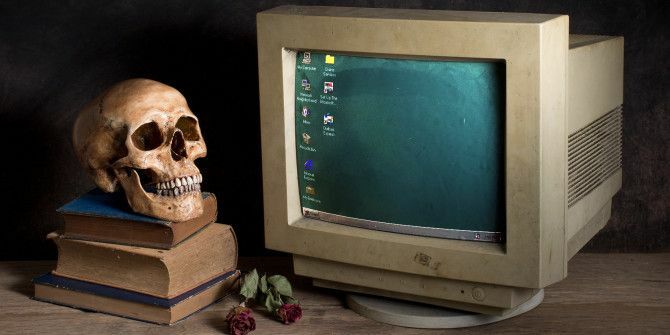 Windows has been around for longer than a lot of you have been alive. Established in 1985, the popular operating system has gone through many iterations since then. It’s one of the most widely used operating systems out there and chances are that some of you have been running it since the beginning. Windows certainly has changed since the first version, but some elements remain consistent. 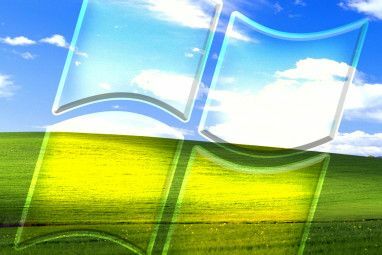 This list is a run down of some of the signs that you’re a seasoned Windows user – old features that have since been discontinued, introduction of new features, and more. Be sure to leave your own thoughts in the comments section at the end. Games have been built into Windows since it launched. All work and no play makes Jack a dull boy, after all. We all know about Minesweeper and Solitaire Enjoy Retro Gaming On Windows Phone 8 With These 3 Emulators Enjoy Retro Gaming On Windows Phone 8 With These 3 Emulators Gaming is where it's at on Windows Phone! You can play classic games natively or install emulator apps and ROM files of original games. Relive old school arcade and console fun with modern tools. Read More , but do you remember playing pinball? 3D Pinball: Space Cadet was first included in Microsoft Plus! 95 (enhancement software) and went on to be included in the NT 4.0 operating system. The game offered a single pinball theme, a funky purple and blue affair, on which players could use the two flippers to send the ball flying. The aim, of course, was to rack up as many points as possible and score a place on the leaderboard. Though since it was all offline, you were often just trying to beat yourself! Sadly, 3D Pinball was last included with Windows XP and didn’t appear in Vista onwards. Though some suspected this was for legal reasons, since the game was developed by an outside company called Cinematronics, it was actually because the game wasn’t compatible anymore and folks at Windows couldn’t make heads or tails of the code – so they took the decision to just scrap it rather than invest vital time that was needed elsewhere. Back when Windows 95 was released in 1995, Microsoft released a video starring Jennifer Aniston and Matthew Perry as they meet a “wacky bunch of propeller heads” in “the world’s first cyber sitcom”. As you can probably guess, nothing in the video has aged well, but it’s worth watching. Windows 95 was the first time that the now-famous Start button and taskbar were introduced. It now seems strange to think about them actually being a new features, but previously program groups had to be launched from a Program Manager. The new menu in 95 allowed applications to be nested in folders and also allowed access to other functions like searching and shutting down. Controversially, Windows 8 changed focus to the Start screen, a full page display where applications could be launched. After much public outcry Microsoft relented and reintroduced the more classic Start button in Windows 8.1 How To Upgrade To Windows 8.1 Preview & What To Expect How To Upgrade To Windows 8.1 Preview & What To Expect Anyone using Windows 8 can now upgrade to a preview version of Windows 8.1 for free. This update refines Windows 8, giving keyboard and mouse users important interface improvements and making the Modern interface more... Read More , which will tellingly also be present in the upcoming Windows 10. “It looks like you’re writing a letter.” Having being parodied many times over since its inception, many people know that Clippy was the helpful (though that word is used loosely and would be hotly debated by some to be switched to ‘annoying’) virtual assistant that would offer tips in Office, the software package that recently celebrated 25 years 20 Historical Microsoft Office Facts You Forgot Or Never Knew 20 Historical Microsoft Office Facts You Forgot Or Never Knew The Microsoft Office suite turned 25 this year. The world has changed since digital presentations, word processing, and spreadsheets became a thing. Do you remember how it all began? Read More . However, did you know that Clippy could be switched out for an entirely different assistant? The advice would be the same, but you could have other characters like a robot, a superhero dog, and a genius (who bore a strong resemblance to Albert Einstein). The characters changed depending on what version of Office you had, with The Genius being introduced in Office 97, and with some being removed and switched out for new ones. You’d also find them elsewhere on the operating system, like when performing a system search. Sadly, Clippy and his pals have long gone from Windows. Have you ever wondered why the C: drive is the default for your data to be stored on? The A: drive was first used for floppy disks 5 Useful Things You Can Create With Your Old Floppy Disks 5 Useful Things You Can Create With Your Old Floppy Disks Read More , with the B: drive later coming into use when those with enough cash could afford to have two floppy drives. Motherboard hardware had built-in support for two floppy drives, so the same support was built into operating systems. As such, another drive attached to the system would be assigned the C: drive. The A: and B: drives weren’t reassignable because it wasn’t considered important to do so. A lot of software, like BIOS, was then developed with the expectation that it’d be stored on the C: drive. Of course, times have now changed and Windows will let you assign A: and B: to volumes – though it still can’t handle boot drives. The first version of Windows used a tiling windows manager. This meant that you couldn’t overlap any windows; they all had to be placed alongside each other. This changed with Windows 2 thanks to the implementation of a stacking window manager Compiz vs. KWin: Which Window Manager Is Better? Compiz vs. KWin: Which Window Manager Is Better? If you have never messed around with a Linux system, but have seen a YouTube video about it, there's a high chance that you've seen someone show off their fancy desktop effects, most notably the... Read More . It’s something we take for granted now, but at the time it was considered an innovative feature. Although it might seem simple in concept, the stacking process has actually been improved over time. 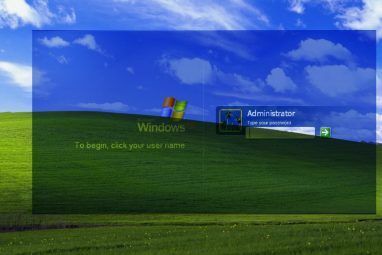 You may remember a common bug from early Windows versions (particularly XP) where if a window stopped responding and you dragged it around the screen then it’d leave a trail behind. This was because the stacking manager was unable to redraw the windows and show what needed to be displayed. The Task Manager 5 Powerful Alternatives to the Windows Task Manager 5 Powerful Alternatives to the Windows Task Manager Task Killer would be a better name for the native Windows Task Manager since we only bring it up to kill unresponsive processes. Alternative Task Managers allow you to actually manage your processes. Read More first came about, as we know it now, in Windows NT 4.0. While a program called tasks did exist beforehand that displayed the current programs running, the Manager implemented more advanced features. The Windows startup screen has not only been seen the world over, but also heard. While they’ve become less relevant over the years as boot times improve, it’s still something that a lot of people will see every day when they turn on their computer. Brian Eno is considered an innovator in ambient music and he was paid $35,000 to compose the Windows 95 startup sound, which lasts just over 3 seconds. Check out the playlist of startup screens and sounds above and let us know in the comments which brings back the most memories. If you’ve seen them all and heard them all from your past computer use then you’re definitely a seasoned Windows user. With Windows 10 scheduled for release later this year, it doesn’t look like Microsoft’s operating system is going away anytime soon. Gone are the days when you could only run Windows on a desktop – tablets, phones and more have since been introduced. Have you been using Windows for a long time? What historical knowledge do you have to impart that’ll impress newbies? You had to start Windows by typing `win` [enter]. First was a Tandy 64k, with tape cassette, modem in cartridge slot running at I think 96baud. My sister used to pull her hair out cuz I was BBS'ing, early version of internet. She could not use the phone. Revenge of the younger brother. That computer ran in 128color on the families first color tv. Dad worked for radio shack. Apple for awhile, and still hate the company. Don't even own a I phone or such. Still use a flip cell phone, but love my I7 and asus extreme mb. Running 8.1 on PC and Laptop and miss Win7 dearly. To lazy to go Linux/ubuntu. Programmed zaxxon in BASIC, took me a full week and had to start over cuz I forgot a command line and could not for the life of me find it. I was 9yrs old. Give the kid a break. I programmed all my games in BASIC. Would spend my newspaper route money on radio shack magazines to get programs in BASIC. Yeah that is a walk down my memory lane. i remember getting my first computer with 2! Mg! of ram on it and thinking "I will NEVER use up all this space." My intro to computing was on punch cards and a mainframe in my first year at university, so when I started on a PC many years later in post-grad work in the 80s and using a university workstation lab, a single floppy drive with a DOS disk to start the computers was bliss. Then they installed twin floppy drives. And when the NT machines arrived they had hard drives that the IT guys could configure with each user having our own sub-directory. We didn't even think of getting in there and doing it ourselves. Nor did we realise (or worry) that everyone's data was available to any user of the lab. My post-grad funding agreed to buy me a PC about 1987, and I started using a multi-tasking program called DESQView by Quarterdeck that ran on top of DOS. It trumped early Windows attempts for many years as it could run MS Windows in one of it's windows, and other programs in other windows. It also had a sophisticated memory manager called QEMM that allowed much more stuff to run concurrently than MS Windows allowed. I think Quarterdeck was bought up by MS so they could use the QEMM tech in Windows. It must have been the early 1990s before MS had developed to a point that DESQView was a thing of the past. Oh yeah, musn't forget that Pinball Space Cadet helped me enter the graphical interface world. And I kind of miss the little dog that dug holes when searching for files. k, some of these comments unfortunately took me down memory lane. Not a drive I'm entirely thrilled with. But I see some of you complaining about having 640k! Jeez this was a luxury I started out on a machine with only 4k which after a week I had written a program that filled the memory and I had to go buy a 64k version (thank god for a liberal return policy!). Second-Try running Windows 2.03 on a CGA monitor in Black & White (Windows couldn't display colors on CGA monitors). That was interesting however this time I couldn't run back to the store and return something to upgrade to EGA. Had to save my pennies to upgrade this time (which took me a year). Someone mentioned DOS 4.0 and how buggy it was. The bug bit me as I was a consultant upgrading a client's machine and DOS 4.0 erased the drive. This was an MS issue that they later acknowledged and rushed a patch out for. Although that didn't stop the client (a law firm no less) from suing me. Even though they supposedly did regular backups-NOT! Someone mentioned OS/2 which was what ran MS first server OS on. Anyone remember MS Lan Manager! I was one of the first System Admins to be trained on it at Microsoft. Even met Bill Gates when he stopped by one night when our class was out having dinner together. Still have the certification from MS University from back in 1991. Last item. My first run in with BASIC was actually on the Atari game console (pre-2600). I was the geeky nerd that bought the BASIC cartridge that came with the keypad controllers instead of buying the "Skiing" or "Basketball" cartridge like all my friends were. I still have my first 8088 dual disk drive clone machine sitting downstairs. It was a "portable" weighing in at 35# and built like a tank. Well it's been great driving down memory lane but I have to pull over and puke at all the money MS has bleed out of me over the years not to mention the many nights pulling my hair out trying to fix their software as a systems admin. With all this experience under your belt, what do you do today? And what tech developments are you most excited about? How about when Windows would run on a PCJr. I could mention my first Xerox computer with one sided 8" floppy discs available in a huge external drive, but I can't forget the $1,000.00+ that I paid for my first 10 MB full-size hard drive in my Eagle Computer. I used Supercalc spreadsheet and don't even remember the name of the word processing. All commands were cryptic (totally illogical) and you had to memorize them. Yes, I did have the Radio Shack computer that all I could do was write programs in "basic" language...useless for me. Well, I started with an NCR mainframe, then graduated to an IBM. But with IBM PCs, I remember having an XT clone with an extra board that brought the system memory up to a whopping 2.5MEGAbytes! DOS couldn't use it, but I ran a product called Software Carousel, and I could have several programs loaded at once, using hotkeys to switch amongst them. I'd develop C and Assembler code in one "window", compile and link in another window, then test in a third. I even introduced this product to my employer's IT department, and we ran it at one location that had several products they needed to have loaded all at once. And it worked! I first started programming in BINARY in 1964.. I programmed various IBM and UNIVAC equipment using colored wires with either locking ends that could only be removed from the program board with a special tool, or with temporary ends that were used for changing values or functions. A couple of years later, I was running a large manufacturing plant with a 4k IBM computer. By that time, I was using 80 column punched cards (do not bend, fold, staple or mutilate) and paper tape for input and output. My first "portable" computer was an IBM with a keyboard, monochrome screen, two floppy drives and an attached thermal printer.. weighed about 15 lbs. My first DOS capable desktop had 16k of memory, a 40k hard drive and a 12 inch CRT. That baby cost almost $3000. call your tech rep "TOM"
& quote "machine processed a massive dump"
Sent a few people home early and almost managed to convince someone they had been sacked due to tapping too hard on their keyboard. Started with Windows for 286 running on top of DR-DOS. Could tweak DR-DOS to give me more available memory. Ran a complete Borland Suite (Turbo C, Turbo Pascal, Turbo Assembler, Turbo Prolog) and used SuperCalc and WordPerfect. I even had a Stacker compression card to get better space utilisation on the HDD - many system freezes. Ah, the good olde days of playing around. First computer was a ZX Spectrum and cassette tape storage. I miss the "Leonardo" and "Science Fiction" themes in 98. My first computing experience was on a Radio Shack Model 1 with 16 K - Yes, I said "K" - of RAM. We wrote programs in Beginner's All-purpose Symbolic Instruction Code (BASIC) and saved them on cassette tapes. Floppy disk? What's a floppy disk? When we DID finally get floppy drives (and 64 K of RAM! ), they sometimes went out of calibration and you had to have either an oscilloscope or a calibration utility which (sort of) worked okay. Those were single-sided disks, holding a whopping 360K of information. Someone realized early on that if you cut a read/write notch on the other side of the jacket, you could turn the disk over and record another 360K on the other side. These were 5-1/4" disks. The 8" disks (Radio Shack Model II, iirc) were aimed at business users. Used Windows 3.1 (or maybe WFW 3.11) in school in the CAD lab (both middle school and high school); most of the rest of the computers were Macs. However, I didn't really get into computers until I spent time in Germany, playing with Windows 3 and a bit of Win95. After returning home, I moved away from Macs and started working on building and fixing computers. I haven't used Macs much since OS8 and I have to admit, I hated OSX the few times I've had a Mac in front of me. I resisted XP for a long time, but eventually got over it. I have Windows 7 on both of my computers and kind of dread moving to Windows 8, which I have used and found that I hated it more than I did OSX. I still have several older computers around that I haven't turned on in years; maybe it's time to see how many still even work and see how many things I remember (especially when using DOS) and how hard it is to do things the "old" way. It's been a while since I've been blessed with a BSoD, but I might have to change the color, just because. Does anyone remember OS/2? The disaster Microsoft tried with IBM before they came out with their own windows? OS/2 was a good O/S. The cooperation attempt between Big Blue and M$ was the disaster. My first GUI was GEM by DRI on an Atari 8086. Multisync amber monitor and a 30MB HDD (either RLE or MFM interface) and a 5.25 floppy drive. Cost $3000NZ. It was a DOS environment (can't remember version) but had a 20MB limit on partition size. "Real" windows came a bit later with the first version of Windows. Of course this was still only an application like many others such as Lotus 123 that ran over top of DOS! Bah. I also began on 80 character punch card readers. The Windows startup screen STILL begins with an 80 character black text screen. And the Windows default screen is STILL the 80 character Blue Screen Of Death! Trivia question: Why is the "insert" command a "V" symbol? I Still Have SIDEKICK 1.56A From BORLAND. I remember using MS-DOS and thinking Windows was for people who didn't know how to use a computer. Played pinball but not sure about the space cadet part, was there other versions? Liked the genius and clippy, still remember it knocking on the screen. Didn't hear all the start ups but used DOS. Who remembers the concerns consumers had with "IBM Compatibility" percentages when deciding WHICH PC to buy?? Space Cadet pinball still works in Win7; just copy all the files to the same directory/folder, & away you go. it sounded too much like it was blowing its own horn, so to speak. First thing I *always* did was lose the 'Sound Scheme' when working on a new-to-me winblos box. One good thing about some earlier versions was you could diagnose what the problem was when winblows quit working right. Figure out which files were missing/corrupt, copy them to the right folder, & go again. Then they tossed the error messages that told you which file was missing/'broken' from which folder, & there went the option to 'fix' your broken windoz. Back then, it seemed like you could learn something, every time you turned on the computer. Now, it seems like you either find a new annoyance, or an old one rears its head. Again. Its always amazed me that M$, Gates, et al could get away w/ the shenanigans they pulled on their 'customers', which they called "users". That's alright; soon Android & Linux will take winblos' lunch, & kick sand in its face. Maybe that's why Win10 is supposed to 'free' for some customers, er, I mean "users". Actually, 3D Space Cadet is still present on Windows XP. I found it installed on every XP machine. Some of those manuals used to be huge! Maybe it's better that manuals are just included on the disc/in the download now. I recall Windows 2.0 was terrible. MS-DOS had no worries. Win 95 brings up the most memories, as that's the first computer I owned. I used 3.1 in school, and possibly even something before that; I remember the first school PC's having small, pixely black and white screens, and there were also still Dos commands needed. 95 on my first own PC with a nice monitor (for the time, now about 20 years and three more monitors later, it seems incredibly basic) was a giant leap. Everything I did on that PC seemed like a huge adventure. Sometimes I'd like that feeling back. I don't have to remember.........all I have to do is dust off, plug-in & turn anyone of my collection of bleeding edge technology I purchased starting 25 years ago. It had a built in scanner , Thermal printer & Touch screen to trigger applications. & U won,t believe this but if you know & call my land- line it still answers my phone. The thermal printer burnt out way back in 1996 but it still functions for me as an old school answering machine. Great way to purge the plague of 21st century robo calls. 2. I've been cursed with the karma of disposable cash to coincide with MS/Window's non-numbered releases ie: ME & Vista. Thousands of dollar$ for less than polished operating software. Yet I still use my Fujitsu "Lifebook" because it has learned my handwriting way better than any of the WIN~ 8 slablets I've bought in the last 3 years. 3. I'm a little pissed -off they skipped v.9... Since I've been such a loyal consumer to the brand & 9 is my favorite #. 4. To this day & next my preferred data tools are still pen & paper. 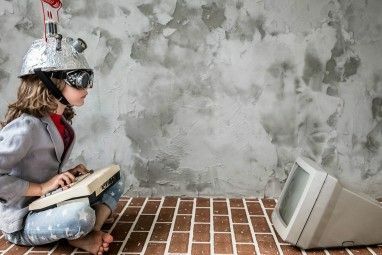 I don't need power , an Internet connection & security software to know that my thoughts are my own & totally free from the taxes of bleeding edge technology. ann0minus ~ " Stop peeping threw windows ; start walking through doors." I remember my old IBM Selectric!... Oh wait, wrong thread. I got old...did it all, and ms-dos, and wordstar and lotus 123 and 32 disks just to install ms office, damn ! Not that I had it, anyone else remember Microsoft Bob? What a steaming pile of poo that was. I remember when Windows 2.x was included as a multi-tasking run-time shell with some programs, circa 1988. If your pc only had one physical floppy drive, you could use A: and B: to address each logical drive. you would be prompted to swap disks. Started using Windows with Windows 2. My PC AT had a 10MB hard drive. I remember adding an additional full-height 20 MB drive and I had unlimited space...sort of. I bought a 2X CD Rom drive for $300! Blazing speed! I also remember seeing Windows 3 demonstrated at a Xerox Ventura Publisher meeting. It was the future of computing!!! This is all after having used an Apple II with 64K of memory and an original copy of VisiCalc. I think I still have a copy of Windows 1.0 on a single 3 1/2 disk somewhere in my boxes of junk. No longer have a drive to read it though. Just imagine what might be on this list in 10 years time! I remember finding the IRQ channel to install my sound card. my 1st DOS/WIN pc had 80mb of hardrive. ;) still have it. and old IBM. Windows is for WIMPs. I can remember the excitement of DOSSHELL with MS_DOS 4 - it was so buggy we were offered a refund. I still have my copy. My old Tandy had the 3-1/2 as the A drive and a 5-1/4 as the B drive with a 20 megabyte hard drive hehe. It was after the original Windows but I can't remember if it was 2 or 3. You were probably using "Deskmate" as a graphical interface. I sold a ton of those computers back in the day while working for Radio Shack. You didn't modify your autoexec.bat file with that? A: and B: drives predate hard drives. Your BIOS would load your OS from the A: drive and your programs would run from the B: drive. There was no internal storage other than system RAM. Of course, back in the day, they were 5 1/4 inch disks which were actually floppy, unlike the hard plastic 3 1/2 inch disks which break like an 6 Plus when bent but which retained the "floppy" moniker. Back in the day, floppies were 8 inches and very floppy. I started out with an early PC with a 51/4 inch floppy!! in the early 80's. Then a few years later, added on a 31/2 inch floppy drive to transfer the old stuff on the big floppy onto the smaller one. PDP-8, CP/M, DOS, Windows (Excel runtime!) up to Windows 10 Technical Preview . Not old: time traveller. There ya go. My first computer was POWERFUL! It had TWO 320k floppy drives! TWO!!! That mean the program disc could stay in one drive while I POPed and PUSHed my data on the other drive. That's REAL power! ...when Windows was not an actual operating system but merely a graphical interface wrapped around an existing MS-DOS platform. This isn't quite a Windows thing, but I think AOL's dial-up tone has been permanently ingrained in my mind. Who can forget Floppy drives, good old floppys . Started out with Windows 3.11 when it was the latest and greatest. Up until windows 7 , I trusted Windows to do real work . But with Windows 8, 8.1 and the coming Win 10, I feel I am using smartphone and I can't take it seriously to do real work. I wonder if I am the only one feeling this way. Sometimes I feel to move to Apple computers although I know my use will be limited and controlled by the Apple boyz. And yes I am writing this comment from Win XP . Closing windows required that you double-click the icon in the upper-left corner of the screen vs. the close button. BTW, this still works! Thanks for the comment, Keith! You're right that it still works, even when the icon isn't present - just double click in the top-left and the window will close. MS DOS for me, then Windows. And, contrary to your statement, Jennifer Aniston has aged very well. She's aged better than Windows, not fat, bloated and slow. Don't know about obstinate though? Sorry, Windows is not slow or bloated, that was Vista. Windows 3.1, A drive/5 1/4" floppies, B drive/ 3 1/2" , the sounds, the slowness, Hell, I even had an Atari & a Sinclair with no hard drives. I remember it all. Microsoft Bob - great suggestion! Though the software was discontinued, the dog that helped you out made a reappearance on XP alongside the other assistants. i remember having to type 'win' to start windows. Damn, I feel old. I remember being 11 or 12 and upgrading to 8MB of ram.